Twenty-five years after the murder of his friend Stephen Lawrence, Duwayne Brooks explores the current wave of knife crime and the impact it is having across the nation. 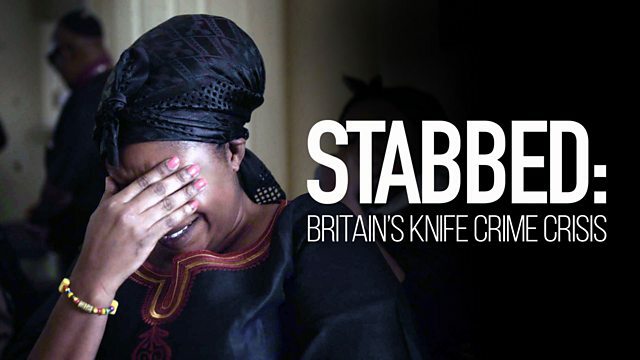 Knife crime is surging across the UK. In 1993, Duwayne Brooks was waiting at a bus stop in Eltham with his friend Stephen Lawrence, when they were attacked by a racist gang, and Stephen was brutally stabbed to death. Witnessing Stephen's murder left Duwayne severely traumatised. Still deeply affected 25 years on, he wants to take viewers on a personal journey into the current wave of knife crime and the impact it is having across the nation. He meets victims’ families and friends as they cope with the aftermath of a loved one being killed and the ensuing fight for justice. He engages with the perpetrators to understand what is making more and more young people turn to knives, and he explores what is being done to stem the violence. Along the way, he revisits his own past, facing up to the trauma that has come to define him. As the death toll rises each month, the film becomes a powerful account of a most deadly year - an intimate and revealing look at one of the biggest challenges facing the country. "I told him I loved him and that I'll see him soon"
"We've lost a legend, we've lost a son"
"It can happen to anyone, anywhere"
Jude Gayle, 30, was stabbed to death in West Norwood, London on September 24th 2017. Anyone with information that may assist the investigation is urged to call the Homicide and Major Crime Command on 020 8721 4961 or 101. Elyon Poku (aka Nana Banger), 20, was stabbed to death on September 22nd 2018 at a party in Stamford Hill, London which was attended by more than 100 people. Anyone with information that may assist the investigation is urged to call the incident room on 0208 345 3865.